VietNamNet Bridge – A place where hundreds of Agent Orange victims have called home will soon close, and so far for those who are there now, they have nowhere else to live. Hoa Binh Village in HCM City’s Tu Du Hospital has housed victims for the last 30 years but will close this year. 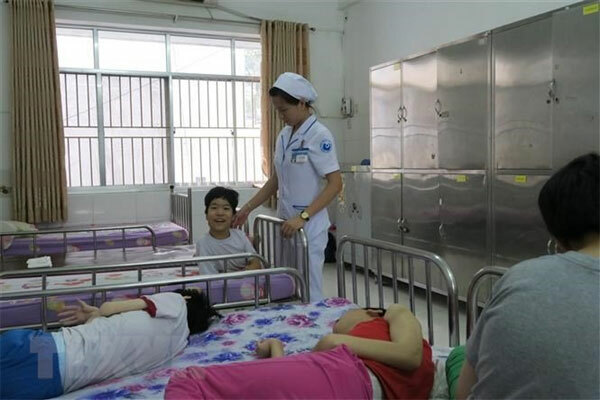 In 2015, the HCM City Association for Victims of Agent Orange/ Dioxine launched a project to build a new centre in Hoc Mon District that will offer rehabilitation and post-surgery care. Major General Tran Ngoc Tho, chairman of the association, said HCM City People’s Committee allocated a 49,000 sq.m plot to build the Orange Centre and the association called on domestic and international donors to raise about VND100 billion (US$4.3million ). Tho said the association authorised the Agent Orange Ltd Company to collect donations and the company committed to spend about VND40 billion and start land clearance, build fencing and waste water treatment. Meanwhile, both Tu Du Hospital managers and AO victims at Hoa Binh Village are desperate for a new centre. Le Thi Hien Nhi, head of the hospital’s Functions Rehabilitation Department said in the last three years, the village stopped receiving more AO victims. Tran Ngoc Son, vice director of the city’s Labour, Invalid and Social Affairs Department said when the Hoa Binh Village was closed, the department would take the AO victims to social sponsor centres which the department managed. Thuy who is a student of Special Education Department of HCM City Teacher Training University said she wished to return and teach other younger victims at the village after she graduated.